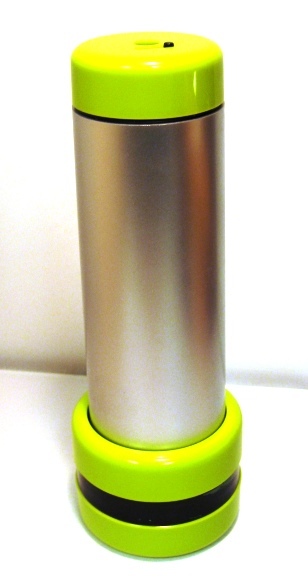 Silver body of durable acrylic with lime green end cap and side-lit turning oil cell. 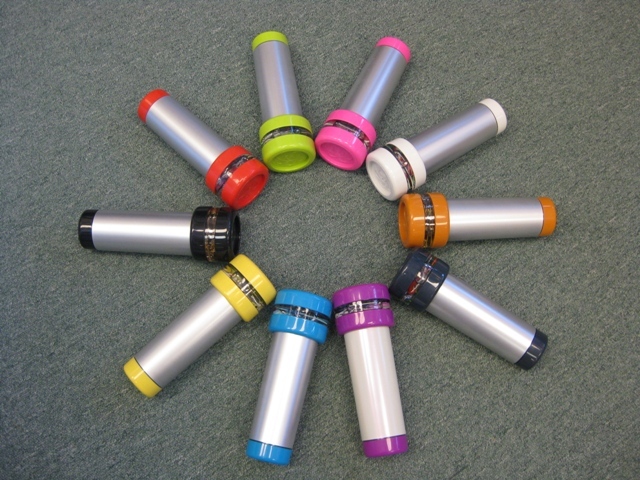 Fascinating glass objects in the cell are color coordinated to the color of each scope's end cap. 2-mirror system. 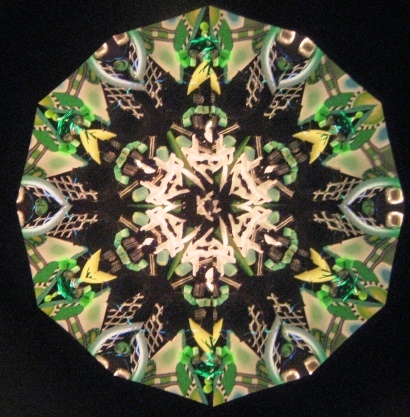 This kaleidoscope is 8" long with a 2 3/4' diameter cell.